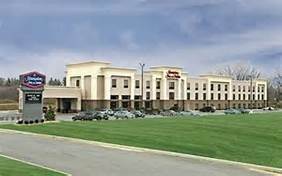 As our guest, you have access to all of our quality amenities, ensuring a carefree stay in Canfield, Ohio. The hotel’s free Breakfast Bar is available every day and features a variety of hot and cold items. After you check your email with free internet access you can then enjoy a refreshing swim in the indoor pool. Our friendly staff is ready to welcome you. Be sure to book before August 9th and mention “Dance for a Cure” to get the block rate. Standard rooms are $99.00, and Studio rooms are $104.00.